1. What were some of your favorite moments or messages or talks from this conference? 2. Repetition is an important element of general conference. From your point of view, what seemed to be the themes or repeated messages of this conference? 3. What are some action items you walked away with? What goals were planted in your mind and heart? “In the day’s ahead, reflect on the unique phenomenon that General Conference is. … If we speak by the Spirit, and you listen by the Spirit, some one of us will speak … just to you. … God will have his voice heard.” — Elder Jeffrey R. Holland, today. Stay tuned because tomorrow I will put up a post with a General Conference trivia contest. The winners will be put in a drawing to win some kind of mysterious, wonderful prize (in other words, I have no idea yet, but I’ll figure it out by then). Plus, I think you deserve to qualify for a prize just for listening to conference. In the meantime, bask in the glorious messages of the past two days and figure out the best way you can to make it last. 1. I loved the general tenor of the sessions this time. I went into conference looking for insights into how to be a better covenant keeper, and felt really special when there was a talk Saturday morning pretty much dedicated to that theme. I was really struck by Elder Nelson, Elder Christoffeson, and Elder Scott’s talks as well. 2. One of the things we do with our kids is write words on post it notes that they pull off when they hear the words. Usually we need to add some new words once we catch the spirit of that conference. The post it notes that got worn out with repetition were covenants, tithing, humility, missionary work, trials, the Great Plan of Happiness, and service. Can’t WAIT to discuss these talks more!! I’m totally new to this, never joined in before, but thought I’d give it a try! Welcome Isobelle. Sunday morning session was great, wasn’t it. This is the first time in a long time that I remember enjoying Sunday’s talks more than Saturday’s. Great stuff today. Oh, I always love conference and am so excited to talk about each one of the talks. For me, I loved President Monson’s talk and also Elder Uchtdorf and Elder Bednar’s. I thought a lot of the talks seemed to be on tithing, service, missionary work, and temple blessings. I can’t wait to participate in this book club! I think it will help to bring home the lessons. Mary, thank you sooo much for a reminder on that talk. I’d forgotten it, and now I need to go relisten to it! I loved the 70’s Hamlet talk as well as Bednar’s talk on revelation. I heard repeated messages about self reliance, working thru trials and tribulations, tithing, the importance of family and marriage. 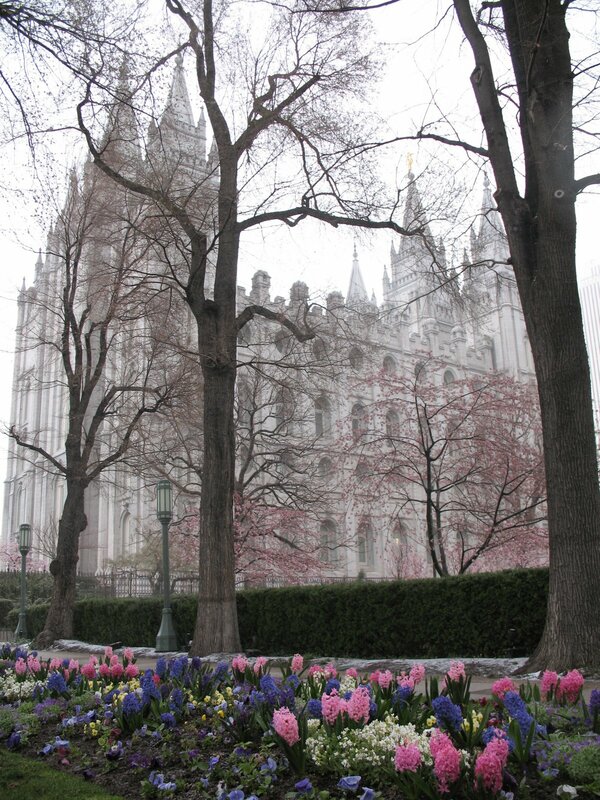 I plan to buy some more temple pictures to put in our home for the bedrooms. I liked that idea from President Monson. I also want to leave more love notes for my sweet husband. I also want to practice talking about what I want my kids to BE in terms of values instead of careers and statistics. 1. I loved Sis. Stevens’ talk about children giving us the example we need to follow. Children do seem to have some of the strongest spirits that I know of, and am constantly impressed by their obedient spirits and examples. I also loved Elder Robbins talk about being and doing, and I loved that he tied that into teaching our children to not just do, but to be. 2. I felt like there were a lot of messages concerning marriage, whether it was telling folks to get married, or to cherish what they already have, I felt like eternal marriage was a big message that was kind of hard to miss. I also felt a big pull on repentance, doing, & becoming (I felt like these themes intertwined with one another). 1. I absolutely LOVED the talk on Celestial Traditions by Elder Maynes. Beautifully put, and a simple reminder of what needs to be the focus in our family. 2. The themes I saw were: Welfare, Becoming a more Christ-like people, understanding the Atonement, and not resenting our trials. 3. Action items for me include being a kinder mother, and disciplining, not punishing. Some goals I have are to be a more Christ-like person, and really reach out to those who need it. Elder Robbins’ Be/Do talk was so touching I had to watch it over again and write down the things that really struck me. My favorite quote from him was, “We will never have a greater opportunity to teach and show Christlike attributes to our children than in the way we discipline them.” For me, that provided some serious food for thought. As I’m growing older (*sigh* …make that, “As I mature”) I am really coming to appreciate what Alma meant that “it beginneth to enlarge my soul; yea, it beginneth to enlighten my understanding, yea, it beginneth to be delicious to me.” I came away from this weekend feeling deliciously, spiritually fed. Totally agree about that Alma scripture. I find myself craving conference. There were so many things I learned … or rather re-learned … while watching conference today. [As you saw on my latest post :)!! ]I can’t wait to get the May Ensign so I can start devouring the wonderful things we heard. I really want to focus, though, on what it means to be – who I want to be and what my children are being as opposed to the action they are doing. I kind of tie that talk into the one which talked about desires, priorities, choices, actions and becoming. Such a fountain of spiritual refueling I received this weekend! I’m new to your blog and looking forward to participating in the GCBC this go-round. I enjoyed Elder Ballard’s talk on Saturday. Action items: as a Primary President, when Pres. Monson talked about having pictures of the temples in our children’s rooms, I thought of doing something with a picture of the temple and the Primary children’s picture together. Maybe even an activity going to the temple to take the pictures. I have a daughter getting married this month, and a son getting married in June, so it may not happen as quickly as I’d like it to! I was surprised that I kept hearing DIVINE NATURE and individual worth. Major emphasis on service as well as and/or in combination with helping the needy. And LOTS about love. Evie said she kept hearing about not judging. I will definitely be making FHE focuses of those topics. The biggest call to action for me was not given as a call to action but I heard it loud and clear. In the first session Sister Stevens mentioned about recognizing that each of her children had something she needed. That really hit me. I need to stop being annoyed with my kids weaknesses or the hard parts of mothering and find out what I’m supposed to learn from each child. How I can become a better person as I lead, guide and walk beside them. I loved the emphasis on children and becoming like little children. I loved the talks on pain and trials and the Atonement. Sounds like we are being asked to remain humble and really access the power of the Atonement to make it through the trials that await us in these Latter days. and Elder Holland’s mention that God will have his voice heard or nature herself will overthrow her banks to make his voice heard. This is definitely happening already. Amazing talks all of them! Stephanie, thank you so much for this — as I’m reading comments, I’m finding so many talks that I forgot about. I can’t wait to participate in the GCBC! Over and over, I felt the impression that I needed to make time for to live my life on purpose – with my children, with my husband, with the Savior. As Elder Cook spoke, I wanted to be the type of woman he described. As Elder Robbins spoke, I realized how much I need to focus less on what I do and more on who I am (which means, of course, that actions will follow but I think in a different way). Elder Holland’s talk was such a sweet ending – while holding up President Monson as an incredible example, I also felt like I needed to better acknowledge what I already do. 1. Favorite messages: Elder Robbin- to do’s and to be’s. Elder Scott-tell your spouse you love them and express gratitude. Pres. Uchtdorf- turn down the volume of Worldly noise in our lives. Elder Holland-Look for the warnings you need. 2. I feel like one of the overall messages was to take care of the poor and needy. We all have a responsibility to do this. 3. I left with a desire to look at my sundays, how can I make them more Sabbath like? I want to express more gratitude to my husband. I want to re-watch and read the talks and find the things that the Lord meant for me to hear. 2. To me they all seem to hit and rehit on the same topics, just with different words. But if I need to narrow it down to one word Personal Revelation, Service, Christ centered homes, marriage and family, repentance, Atonement, Love and kindness. 3. My action is to learn “TO BE” instead of “TO DO”. To better my role as an Elect Lady. This talk was directed to the priesthood but I am appling the question “Do I live below my priviledges as a Priesthood holder[Elect Lady]? I’m new to this too and so excited to participate in the GCBC! I loved the quote Pres. Uctdorf quoted in Sunday Morning: “Preach the gospel at all times, and if necessary, use words” – Francis of Assisi. I think that is something I need to remember more often, to be aware of how my actions, facial expressions, and responses are representing my Savior and His gospel. I also really enjoyed Elder Bednar’s Sunday talk about revelation. I’m enjoying reading everyone’s comments. Can’t wait for the text of the sessions to be up online. *I need to remember that the Lord’s timing is not always mine, and I need to have deeper faith. I also need to focus more on the eternal aspect of things while doing the mundane. I also came away with a more determined attitude to teach my children the Gospel, ESPECIALLY when it’s hard. It is funny how somethings are emphasized a few times… even when they don’t correlate. I wrote mine up on my blog today. 3. Oh, what not to work on. Align my desires with my actions. Make a “to be” list and smaller goals to do and eventually become better. Serve. Serve. Serve. And involve my children in it. Read and Study all of the talks. Be more supportive to my husband and express my love more. Seek and prepare for personal revelation daily and willingly accept correction from the Lord. Be more patient with my children. Your list of action items is almost identical to mine. Love it. I have been promising myself that I would join in the GCBC, and this time I am doing it. Completely. I loved all of coneference, but Saturday morning’s talks really jumped out at me. And there was nothing so sweet and tender as Elder Scott’s talk about marriage. It was beautiful! One of my favorite things to do during Conference is listen for those themes. I recorded some of the ones I found on my blog…I’m sure I’ll add more, and I like hearing what others heard, too. Stephanie, would you be willing to add your GCBC link to mormonwoman.org? And also, if anyone has written a post, would you be willing to add it, too? (http://mormonwoman.org/2011/04/04/share-your-thoughts-on-the-april-2011-lds-general-conference/) I hope it’s ok to mention here; I don’t want to take away from what Stephanie is doing (or compete w/ MMB), but we do hope to provide another place, particularly for those not of our faith (our site is missionary-minded), to gather voices about what conference means (and, we hope, get more traffic going to individual blogs as well). Hi there! I posted this on my blog yesterday but I wanted to be sure to post as a comment here as well. I am SO glad I found you…er…this club. 😉 I have found that it really helps me delve into deeper meanings and strive to live by those things we are encouraged to do through the talks of these wonderful men and women. I’d have to say that there are so many talks that really spoke to me Elder Maynes really hit some important things for me as a mother, sister, friend, daughter, younameitreally. I cried during the Mormon Tabernacle’s arrangement of The Spirit Of God Like A Fire Is Burning. I cried during Elder Scott’s talk. Oh cripes, I cried through a lot of them! LOL I can’t wait to listen to these talks over and over. To learn and to grown and to be teachable. I thought a really strong theme were some of the basics; treating ALL with compassion, paying your tithing, strengthening faith through fundamentals. Thanks to the Bloggernacle Back Bench I found this site and ‘club’! Already, just reading the comments and first blog of the week I feel uplifted and reminded. I look back on my notes and wonder why I didn’t write or see a talk the same way someone else did; so happy for the diversity! I LOVED conference, watched every session…need reminders all the time. Favorite moments for me were to see my kids join the prayer from the TV set time after time. Feeling that they know (probably more than me at times) how important it is to hear a prophet’s voice. I am so exited to study these messages. I am joining in. I noticed a great emphasis on Missionary Work. My husband has invited us as we pray as a family to ask Heavenly Father that the Gospel will go to all Nations as President Monson asked a few – many conferences ago. It has stayed with us and my oldest always remembers and if someone else forgets his spirited self comes out and wants another prayer said so that we get it said…. Anyway, to hear about Missionary Work several times this weekend, was a validation I guess to him, he said: “See Mom, it’s important!” And on a personal note, it warmed my heart to hear about Missionary Work, because my Mom is waiting for her mission call right now. My Dad passed away 6 months ago and she has decided is time to go. To hear the prophets speak on something related to what she is doing right now, was a token of love that I felt towards her from Heaven. And it felt good to know that she was listening 3000 miles away and it’s OK if I can’t be physically with her right now, she is being taken cared of. My take home message is create my “to be” list. And then I heard the song the choir sung “I am trying to be like Jesus” Those words spoke to me, it has given me a list of ideas to start with. Oh there’s so much from Conference and then 6 months go by too fast when other comes…. I guess it’s the urgency to prepare this world for the Coming of its Savior, huh? Looking forward to study these messages! I’m so glad I happened upon this blog today. One of my visiting teaching sisters missed conference last fall and so together we were going through each of the talks. I think it will be wonderful to do that this time around with a larger group. I’m looking forward to the opportunity to share insights and learn and grow. 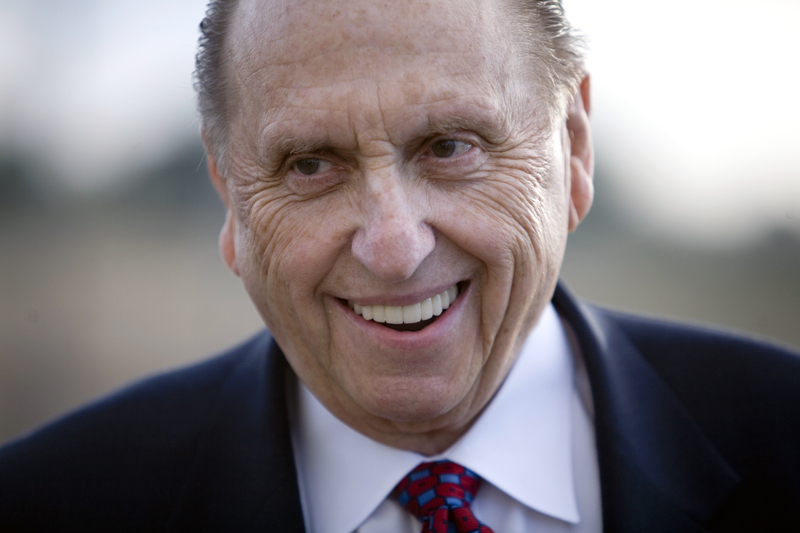 One of my favorite parts of this past conference was watching President Monson’s facial expressions as he encouraged the young adult men to do their duty and find wives. (Normally I wait until later in the week to read the priesthood session, but my missionary son emailed some comment about it on Monday and I couldn’t wait to see what he was referring to.) I loved my teenage son’s reaction to Elder Robbin’s “To Be” talk – “That was fun!” We were thrilled to hear that one of our previous bishops was called into the First Quorum of the Seventy. I loved hearing a couple of references to Romans 8, the chapter that had jumped out at me earlier in the week. I felt that some of the repetitive themes were service and the importance of eternal marriage and families and remembering that God loves us. 1. I loved the talk about women by Elder Quentin L. Cook Saturday AM! 2. Welfare and Temples were definitely a theme! 3. To BE at the Temple more and to BE of more Service! I am looking forward to participating in this GCBC! I enjoyed Elder Scott’s beautiful talk about marriage and his wife. I also enjoyed the talk about children in the first session on Saturday. The rest are a bit of a blur because we had A LOT of family around (kids) that weren’t always super reverent. I actually really enjoyed the moments when both my kids were sitting reverently on the couch, excited to hear the prophet speak. I definitely feel that the theme of this conference was service and being self reliant have mostly to do with service. I kept thinking of one of my visiting teaching sisters and how I need to do more for her than I’ve done. My husband and I also kept thinking about our awesome neighbors who seem like they’re already members. And, honestly, another goal is your book club. The last few conferences I’ve read some of the talks at home but not all of them. I haven’t immersed myself in the teachings we received. This time’s going to be different. Thanks for doing this every conference. I loved the talk from Uchtdorf. He spoke about talking to our friends about the good spiritual things that make our week/weekend great. I like the way we can turn conversations around to uplifting topics when we do that. I dont remember who inspired this in me but in my journal I reminded myself to follow promptings with willingness. The willingness part is what I need to work on. I feel like I’m being prompted all the time and sometimes I resist it. Last night I knew I needed to spend some time reading the scriptures, but I wanted to read my book. And, I read my book. I’m still learning. Aren’t we all? Thanks you for all your comments. I’m so excited to start this with all of you amazing ladies!